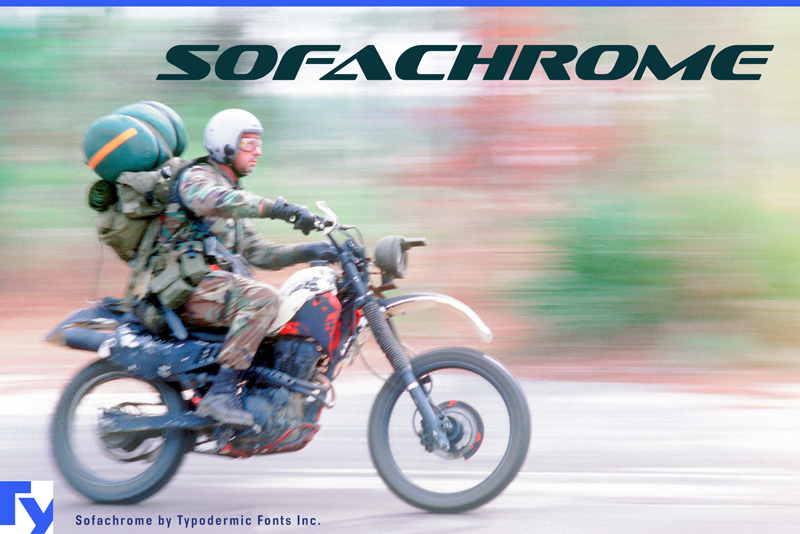 Sofachrome is an efficient, techno headline buster. These free fonts are part of a larger font family. Check out the rest of the family through the link above.